We Do Not Have A Dinosaur is a series of compilation albums documenting Oxford's electronic music scene. For Volume 2, I created cover artwork to work successfully across physical and digital media, which subtly references the geography of Oxford in its design. Profits from album sales are donated to two charities, Helen & Douglas House and The Oxford Foodbank. 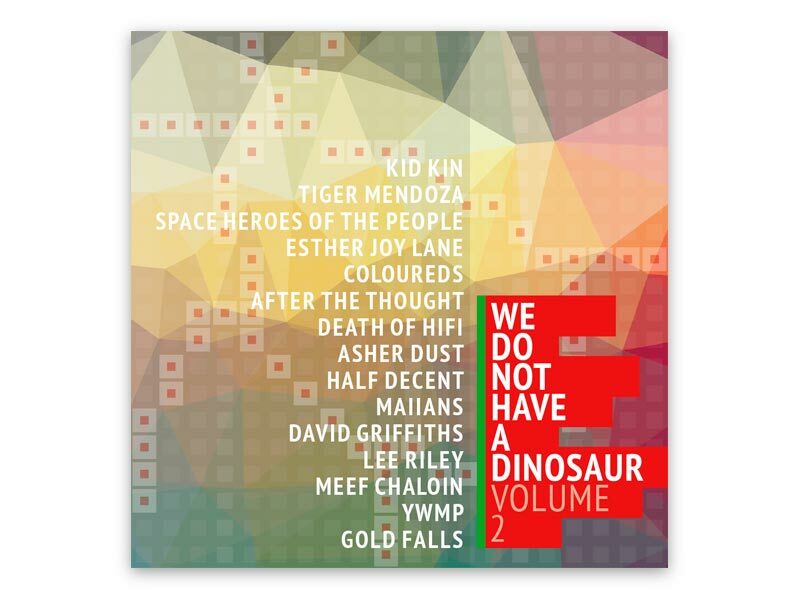 The album can be streamed online and purchased here: We Do Not Have A Dinosaur Volume 2.